Do you want to create a slider with images, videos, and text? Any multimedia slider you create holds a lot of potential. You can have responsive videos and images mixed with contact forms, testimonials, and anything else you can fit into your Soliloquy slider! WordPress doesn’t come with sliders by default, so you’ll need to install a plugin like Soliloquy. You can buy the full version or try Soliloquy Lite; just remember that Lite may not have all the functionality. You’ll need the Developer license or better to add PDFs to your slider. Once you’ve purchased Soliloquy, install it by going to your admin dashboard, clicking Plugins » Add New, and Upload Plugin. Then just activate the addon and your license key from Plugins and you’re set! You can also upload the file via FTP if necessary. If you get lost, follow this installation guide. Creating an image slider is easy. You should have a new section on the sidebar in your WordPress backend. Hover Soliloquy » Add New and create your slideshow. Give it a title, and now you can begin uploading media to your slideshow! Adding images to Soliloquy is simple. You should see a section with tabs labeled “Native Slider”. Inside it, click Select Files From Your Computer to upload an image right from a folder on your PC. If the images are already uploaded to WordPress, click Select Files From Other Sources » Add Media. You may have noticed the other options when you clicked Select Files From Other Sources. 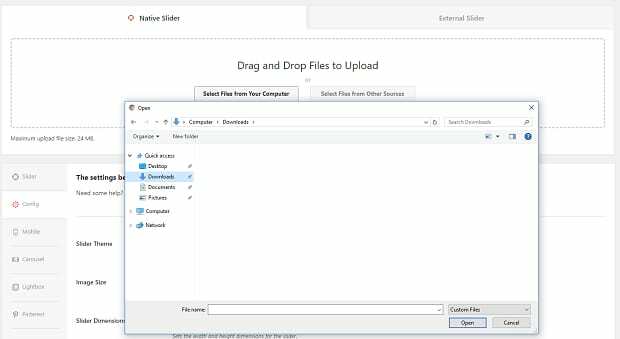 This is where you can add files like videos and PDFs to your slider! PDF files can be uploaded directly or pulled from a PDF already on your site. A PDF slider converts the pages into image format, which is perfect for slideshows. Videos can be uploaded or linked from certain websites. If you’re uploading a video, you’ll need to create a video thumbnail; otherwise, it will pull the image from the linked site. If you’re adding multiple videos, just click “Add another video slider”. Click Select Files From Other Sources again and navigate to Insert HTML Slide. Depending on what you to do, this part will vary. If you want to add simple text, go ahead and type it in! (Note: This is different than adding captions.) You’ll probably want to get the hang of some basic HTML so you can format and style your text, add icons or small images alongside the text, and more. And if you’re an expert at HTML code, you can do practically anything here! Mastering the CSS addon will help too. What if you want to add a contact form or other plugin into your slider? Just paste the shortcode into the HTML editor! To set the order of the content in your multimedia slider, just drag and drop where you want them to go. Remember to click “Update” or “Publish”. 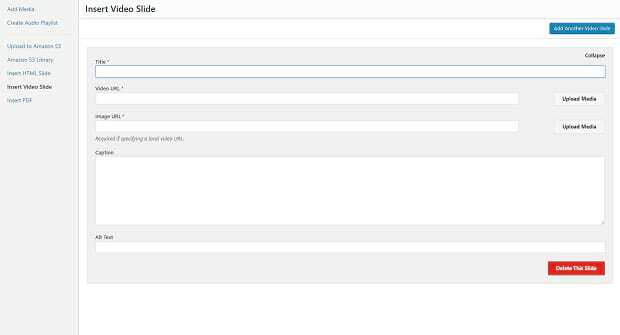 Now copy the slider shortcode on the right, and then paste it in a post, page, or anywhere you can stick a shortcode! Save the page, and your new multimedia slider should appear on your site. Many slider plugins are limited to images only or don’t easily allow you to combine media. 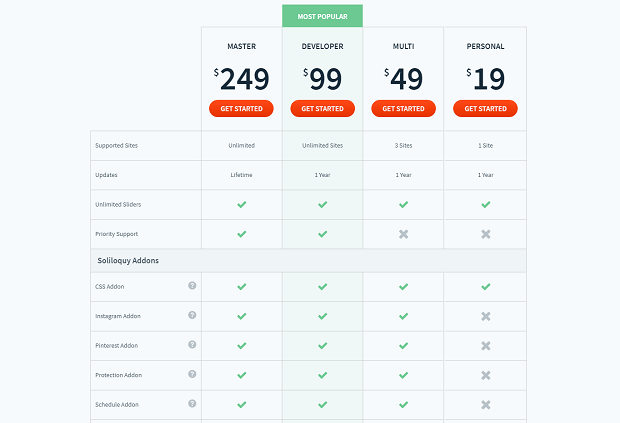 If you want the best slider plugin in WordPress that allows you to do just about anything, Soliloquy is what you’re looking for. Before you go, don’t forget to follow us on Facebook and Twitter to get access to the latest WordPress tips and tutorials!